The moment you’re involved in a car accident is the moment your life goes from order to chaos. Immediately after the hard crash, you’re probably feeling dazed. For most people, it feels like a confusing fog of shock, guilt, fear, and defensiveness. The tears mix with fury and you’re turning around you, figuring out how to bring order to this chaos. Did you feel rushed after your accident? Most people feel that way. A car accident is a life-changing event. It’s not something you forget. Once all the cars involved come to a complete stop, there is a large amount of psychological pressure and tension. See if this scene doesn’t look familiar. As you exit the vehicle your hands are shaking as you hold the phone. Check if everyone is okay as you juggle emergency calls to paramedics, loved ones, police, and insurance. You’re being stared at and gawked at by everyone that drives by. You’re wondering if your car is drivable. You’re wondering if you experienced whiplash. No time. Things don’t feel right anymore. The cops come. Explain the story a million times; replay the gruesome scene over and over in your head. (If you’re not at fault, you’re reeling from the shock. If you were at fault, you’re feeling defensive and playing the scene over in your head, wondering where you turned wrong). It is a challenge to communicate with the other party while holding back fury and tears. Questions rush through your head, one after the other. Should you talk to a lawyer? Which car was at fault really? What medical plan do you have? How will your boss feel about your accident when you tell them you can’t come in tomorrow? Non-stop. All these unanswered questions. All the annoying logistics that must be planned now. You just want to SCREAM at somebody. With all this going on around you, it’s near impossible to be present with the pain you’re having. Chances are you’re in physical pain and don’t even know it. Remember that after an accident your adrenaline is kicking – so you likely won’t feel the pain immediately. A chiropractic visit gives you a baseline of your health and helps put you on a plan to physical recovery. Here is why a chiropractor should be among one of the first people you call after an accident. Broken bones, ligaments, bruising and lacerations are easy to see and feel. However, some of the worst injuries may be the ones you don’t immediately notice. Symptoms like whiplash, dizziness, headaches, soreness, and lower back pain may manifest days or weeks after the event. Going to a chiropractor the next day gives you a chance to be alone with your body under the supervision and direction of a medical professional. In order to understand your body’s mechanics better, a chiropractor will have you walk, sit, stand, and lay down to see your spinal alignment and overall posture. You can expect a thorough diagnosis to spot and diagnose the cause of your pain. This gives a baseline for your health. Use this baseline when dealing with insurance companies, lawyers, and medical doctors. If you were injured in a car accident that was caused by another person’s negligence, seeing a chiropractor after your accident will improve your chance at receiving the compensation that you deserve. The chiropractor will give a “baseline” of your health post-accident. 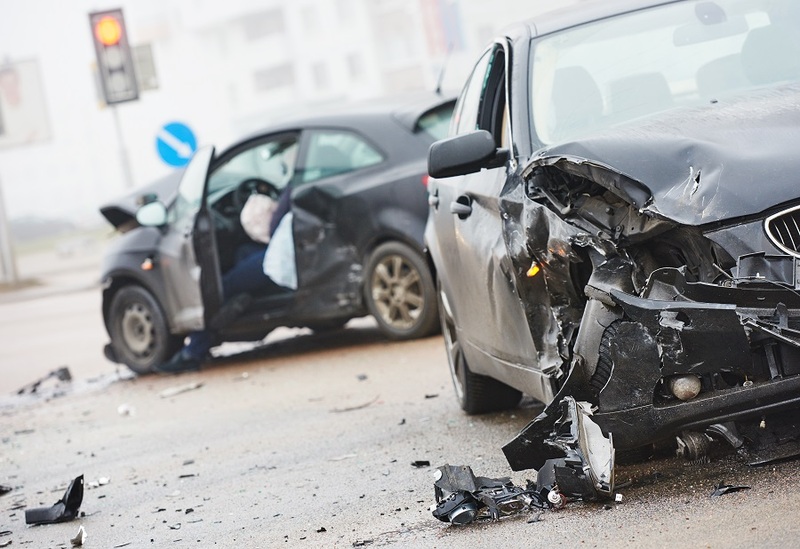 This assessment can be used in the South Florida court system & healthcare system to demonstrate that the ailments with your body were a direct result of the car accident you experienced. You don’t want your medical insurance to say “this problem you are having was a result of a pre-existing medical condition.” Obtaining a baseline report will give you defense against this tactic, enabling you to maximize the amount of money you obtain from insurance for your pain and suffering. Remember that you have 14 days to see a doctor after a car accident otherwise your medical bills are not covered by your personal injury protection (PIP) car insurance! Aches and pains can show up well after 14 days, so make sure you get a recorded baseline. Micro-tears and misalignment are common post-car crash. Unfortunately, an X-ray is not going to catch them all. MRIs are used to diagnose the cause of back and/or neck pain. Pompano Beach located chiropractors use spinal adjustments to realign the posture. This helps your body to release an anti-inflammatory “feel good hormones” that helps reduce inflammation and pain symptoms in the body. About the author: Alex Pop is a content writer specializing in psychology and healthcare. A 20-year resident of South Florida, he enjoys helping businesses reach new customers using content marketing & digital. Find more of Alex’s work on SayWhat Hearing, Twitter, and LinkedIn.